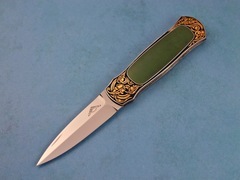 A great small Gents Folder by Warren Osborne. 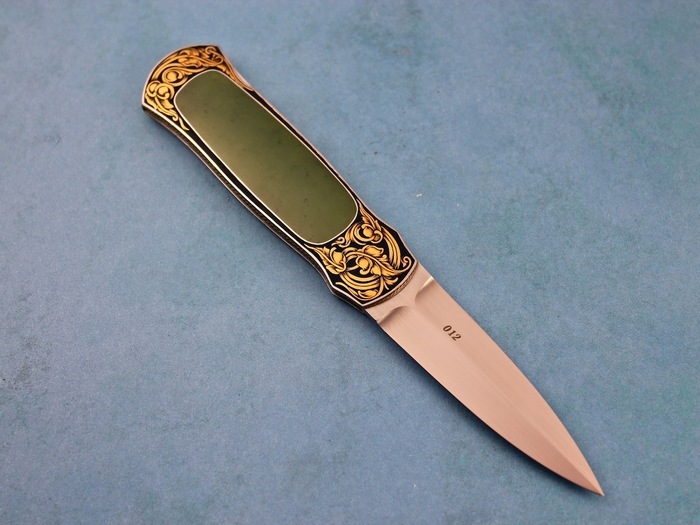 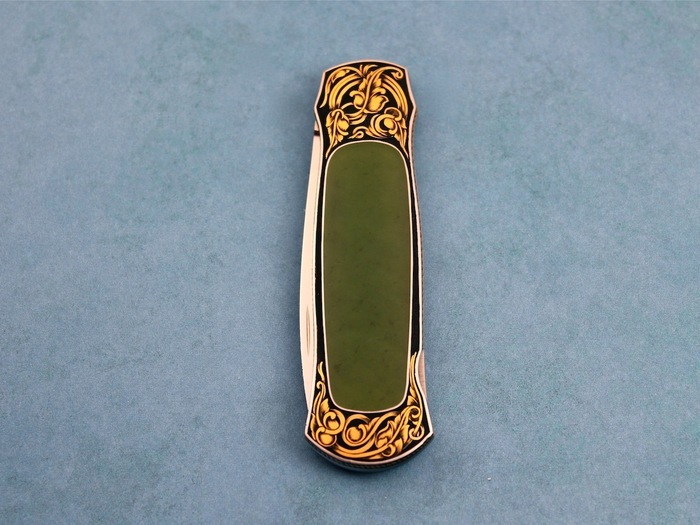 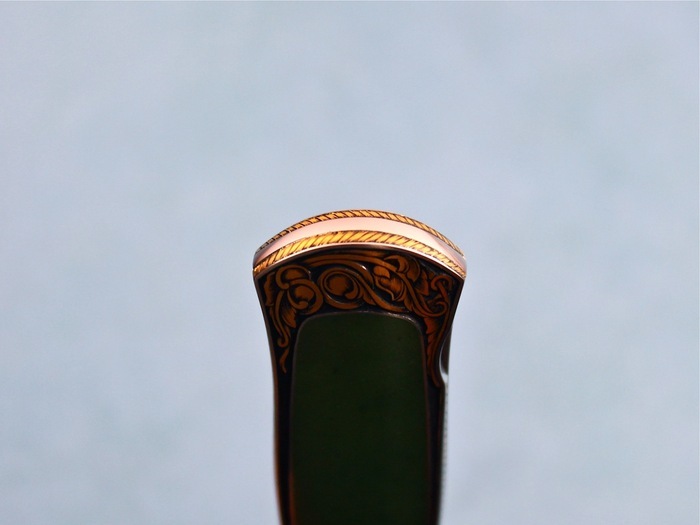 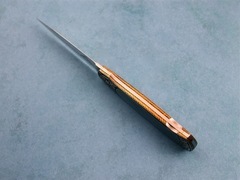 This knife has beautiful Green Apple Jade inlays and has been beautifully and totally engraved in gold by Tim George. 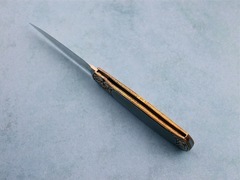 The whole edge of the knife has been engraved with a gold rope on both sides. The knife was engraved and is marked THG 1991. 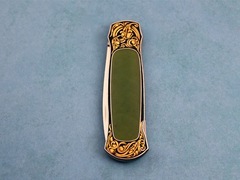 The knife has a small check under the Jade that happened back in 1991. 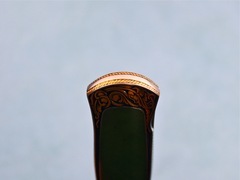 It is not on the surface and has been that way for 21 years.